VKN Financial Services (Pty) Ltd is a South African based, 110% black owned (BBB EE Level 1 Contributor), managed Intermediary, Consulting and Advisory service provider providing a unique, professional, short term insurance broking service. 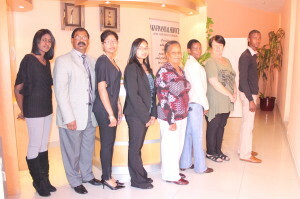 VKN Financial Services Pty Ltd is the brain child of Vis Naidoo, the founding shareholder in July 2000. VKN represents the initials of the founding shareholder. The company is over a decade in business having established a strong and loyal client base across all sectors of the economy. MISSION: To provide our clients with the most cost effective solutions through service excellence and the finest quality and refreshing approach to the concept of short term insurance and related services. PURPOSE: VKNFS seeks to provide the finest quality and a refreshing approach to the provision of insurance and related services. Its purpose and objectives are to provide superior quality service for all its client’s insurance needs. MEMBERSHIP OF ASSOCIATION: VKNFS is 14 years in business. Vis Naidoo is an Associate of the Insurance Institute of South Africa and an Associate of the Society of Risk Managers. We are an authorised Financial Services Provider by the Financial Services Board in terms of the Financial Advisory and Intermediary Services Act 2002(Act No. 37 of 2002) under Lincence No. FSP 1207. Vis Naidoo is also a member of the Black Brokers Networking Forum. EQUAL EMPLOYMENT AND RDP: VKNFS is a 100% black owned and controlled company specifically formed to address equal employment, transformation, job creation, skills transfer, black empowerment, black advancement and the imbalance that exists in this sector.